1. 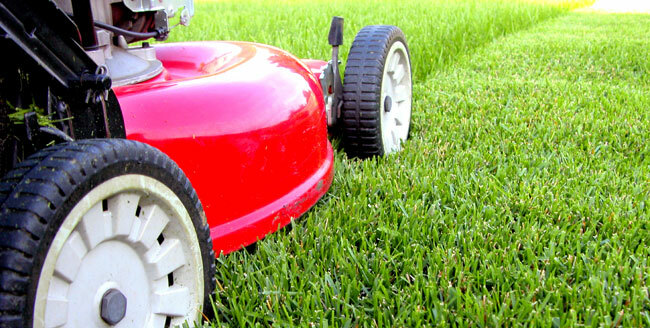 Your success in the lawn care and landscaping business will depend on how prepared you are to do the work and execute. How can you do the job more efficiently next time? Are you meeting your budget for the year? Is your business showing profit? Do you know what it costs for you to run your equipment per hour? Do you know what your overhead costs are per hour? 2. Keep close track of the financial performance of your business, particularly your cost relative to sales. 3. Find an effective work scheduling system to allow you to more clearly see the tasks ahead and prioritize your committed jobs. Proper scheduling of work allows you to manage your resources to ensure that you are not stretched too thin. Scheduling can be tricky and confusing, given that some jobs are done weekly, while others are biweekly and even monthly. The schedule should also incorporate fertilizer schedules often done to clients 4 times a year, the monthly shrub trim, and allows you to see your extra big jobs. 4. Understand and learn plant production cycle to help you get the material you need. Knowing the production cycle — from specialty growers to wholesale finish growers to retailers – can help ensure you can get the freshest plant materials as well as preferred plant varieties in a timely fashion. 5. Properly manage the number of your workers. The number of your crew should depend on your typical workload and average job size. Avoid having too many – or too little – crew members on board. Productivity goes down if you have too little crew, while profit margins hurt if you have too many. You don’t want too many crews just standing idly because you have little projects for them. You also don’t want a situation where you are scrambling from one job to another because you have inadequate crew members on board. Avoid the situation where crew members, upon arriving on the work site, simply idle around and do nothing but wait for instructions. Give them all the necessary directions and what their responsibilities are to ensure that the job runs smoothly. Plus, they need to be trained on various types of plants and other important information about customers’ yards. You don’t want a situation where you asked your crew to prune Crape Myrtle and then end up pruning the customer’s prize winning rose plants. Make sure your crew members are friendly and do a thorough and complete job. Before they leave the job site, make sure they did their job by checking the location and ensuring that they did not do a lopsided job. Make sure that things in the yard removed during the job such as toys or flowerpots are put back in place. A good lawn company doesn’t just come out mow then leave; they will weed flower beds, and water the lawn. 7. Always use quality equipment, and keep them well maintained. Good quality Gilmour lawn sprinklers , for example, will last you longer than cheap watering tools. Inspect all your equipment and tools before going to job sites. You don’t want your equipment to break down in the middle of the job. Plus, if your staffers don’t take care of equipment they most likely not going to care what kind of a job they do either. 8. Focus on maximizing production and profitability and eliminate wasteful practices. One way is to learn to schedule smart. Do quotes and schedule jobs in the same area of town and on the same day to reduce travel time and save on fuel. 9. Immediately address equipment issues. If the crew breaks a tool, devise a system that will compel the crew member to report the problem and not just leave the broken tool in the truck. Designate a place where they can put broken tools. That way, when crews are on the job, their productivity is not hampered as a result of broken tools while someone else in your crew has to drive between jobs bringing in tools to replace the ones broken. 10. Be on top of your billing and collection processes. Keep track of the work you provide, and make sure you leave a note to your customer that you came and worked on their yard. Send the bills promptly at the end of the month. Pursue delinquent clients to ensure steady cash flow. GopherHaul Extreme Lawn Care Business Tips. : Unfiltered, unedited, and a little rough. A collection of landscaping & lawn care business lessons.